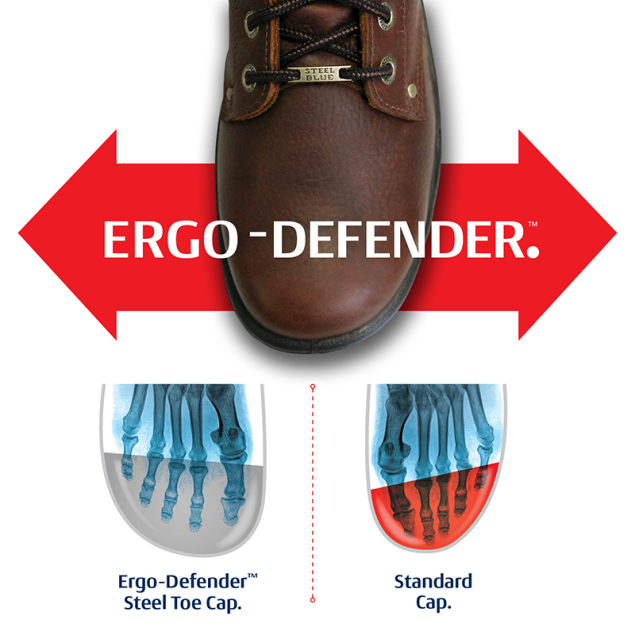 Featuring a Hardened ErgoDefender™ (Steel Toe Cap) that’s designed to meet American Safety Footwear Certification ASTM F2413, this technology offers premium protection for your toes. Our steel toe work boots are capable of resisting a drop force of 200J, 15kN of rolling objects, nail gun puncture and power saw cut. 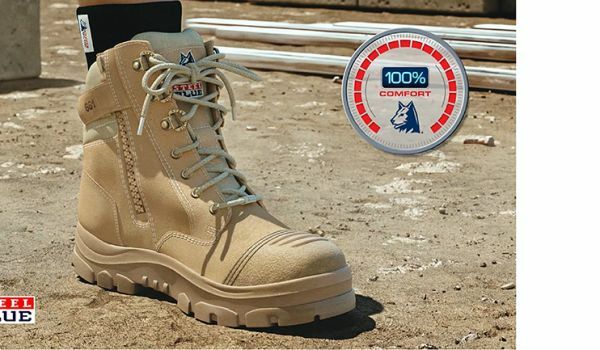 The Ergonomic Steel Toe box design allows your toes to sit in a relaxed, natural position. No pinch, burning or rubbing. You’ll only know it’s there when you need it! Steel toe shoes are mandatory on many worksites, so they’re our most popular choice. We test against corrosion, impact compression and internal dimensions to ensure the Toe Cap covers the necessary area. Our ErgoDefender™ (Steel Toe Box) boots are suitable for environments with nail guns and power saws. 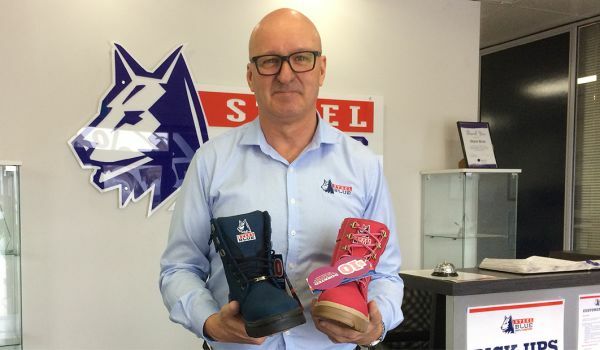 Steel Blue safety boots featuring our ErgoDefender™ (Steel Toe Cap) comply with American Safety Footwear Certification ASTM F2413.